While SOVA Night Guard is intended for use on the upper arch, it can be formed over the lower teeth if desired. 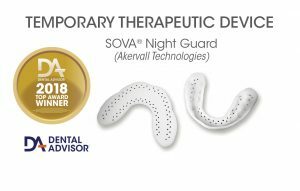 SOVA Night Guard is a bruxism appliance designed to be formed by the patient at home. The finished guard is a tough polymer material with a flat occlusal surface and perforated labial and lingual flanges. The thermoplastic material has a high tensile strength and is biocompatible, biodegradable and BPA-free. The night guard starts as a flat, horseshoe-shape; after immersion in 130˚ water, the material becomes pliable. The night guard is then molded against the teeth until it becomes hardened, approximately one minute. SOVA Night Guard is only 1.6 mm thick adding to its comfort and can be heated and remolded up to 20 times. 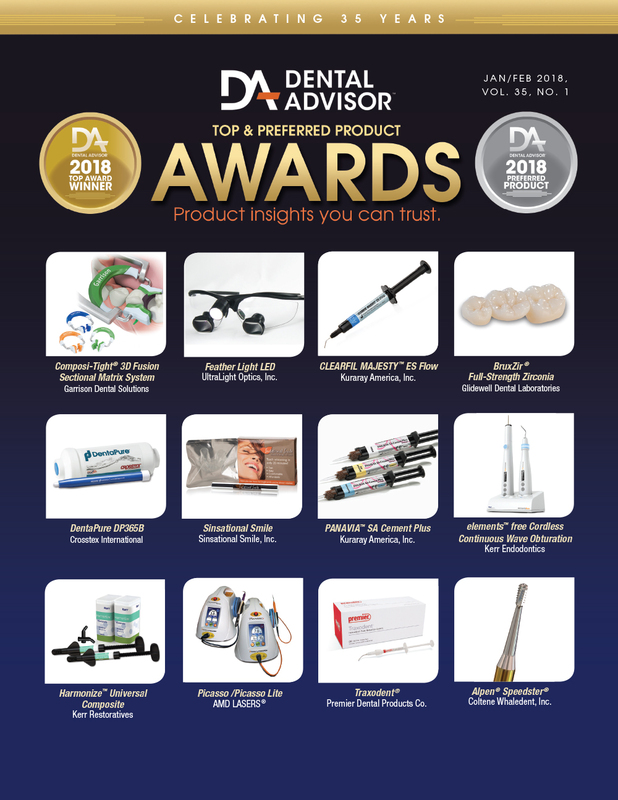 The SOVA Night Guard is available to dental professionals and through retail outlets. A 120 day durability warranty is provided. Thirty-one consultants evaluated SOVA Night Guard after delivering 155 units to patients. 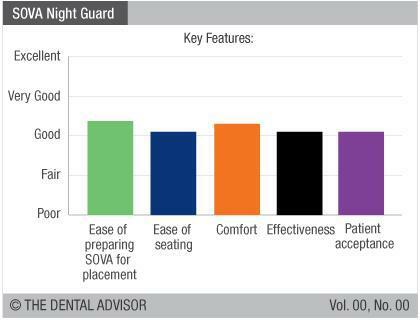 This night guard received an 81% clinical rating. SOVA Night Guard provides a quick, easy option for protecting teeth from the effects of bruxism. The thin profile and perforated surface of SOVA Night Guard makes it comfortable for patients, even during the daytime. Allow for the natural flow of air and saliva. Aid in creating a true custom fit. Oscillate on impact to diffuse grinding forces. 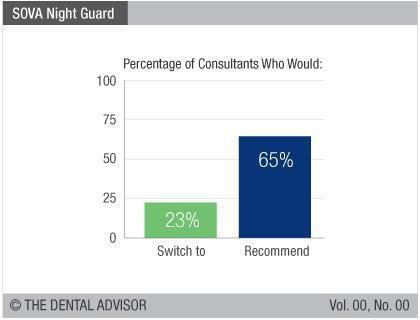 Consultants used SOVA Night Guard for the following circumstances: transitional dentition due to ongoing restorative treatment or growth, orthodontic patients, financial or time constraints, and as a trial appliance. Forming the splint is not difficult, but a successful outcome does require centering the soft material over the arch then pressing the lips and tongue against it. Often a second attempt was necessary after reheating the splint. Dentists would have preferred a thicker occlusal surface for durability and increased opening. When a lab-fabricated splint is not an option, SOVA Night Guard can provide occlusal protection from grinding.